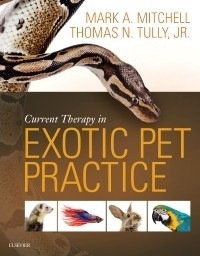 ・Expert guidance on treating various disease conditions provides authoritative support for veterinarians who are less experienced in companion exotic pet care. ・Renowned authors and editors carefully selected topics of real clinical importance. ・Detailed coverage on how to identify and treat diseases (from common to rare) helps alleviate apprehension a veterinarian may feel when treating an unfamiliar species. ・Includes the latest information from the current scientific literature and addresses hot topics associated with treating companion exotic animals today. ・Vivid full-color images demonstrate the unique anatomic and medical features of each group of animals covered.